The Pro device features our largest window size available, and is perfect for power users and more intensive treatments. It comes with two interchangeable caps, one for treating larger areas, and a precision cap for smaller areas. Both caps can be used on the body and female face. Compare your skin tone and hair color with the charts below to determine if LumaRx® is appropriate for the area you plan to treat. Due to the hair growth cycle and the presence of inactive hair follicles, we recommend three treatments during the first month, then maintenance treatments as needed. for use on the area. This device can be used on areas of the body, including underarms, bikini line, arms, legs, chest and stomach. It can also treat female facial hair on the cheeks, sideburns, chin, neck areas, and above the lips. Do not use on or around the eyes, eyebrows, or eyelashes. 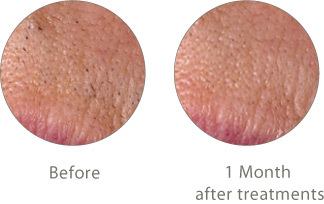 We recommend three initial treatments within a four-week period. Use periodic touch-up treatments to remove any remaining hair. Individual hairs go through continuous growth cycles with phases of active growth and phases of rest. 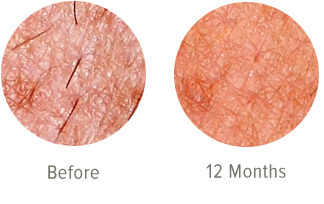 Like other laser or light-based treatments, the LumaRx® device affects only hairs that are in the active growth phase. 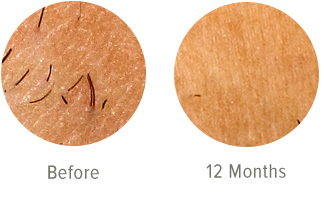 How is this device different than your other at-home hair removal devices? 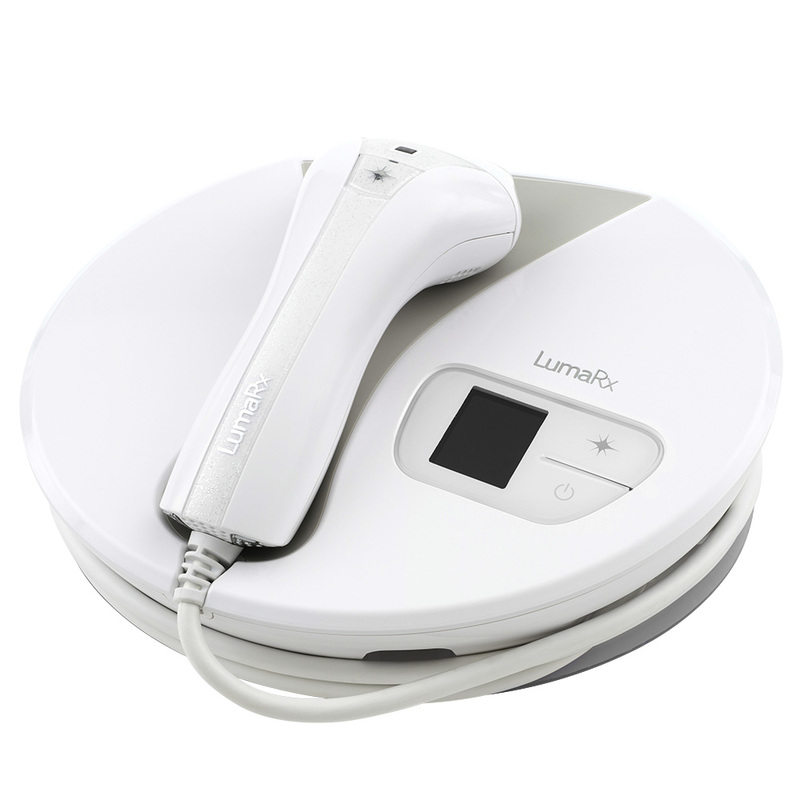 This is our most powerful, feature-rich hair removal system in the LumaRx® family. It has our largest treatment window, a more conveniently located skin tone tester, and provides over 50% more flashes than our Full Body device. With the large treatment window, this is our fastest device. 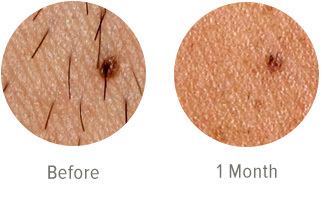 Treatment times vary based on the size of the area being treated. You can treat small areas in less than one minute, and large areas, such as two lower legs, in about 22-24 minutes. How often can I treat my hair? You should wait two weeks between treatments for each area. Use the Treatment Cards (located in back of the Use and Care Guide) or our mobile app to help track your treatments. When used correctly, the most common feeling is a warm, mild tingling sensation. Some people also describe a sensation similar to a very light elastic snap on their skin. 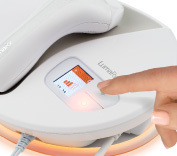 This device features 5 energy levels so you can customize the intensity level of treatments.